I missed out last week-so should I wait and do Ten for Tuesday??? Just Kidding- Ain't Nobody Got Time for That!!!! This Monday I was presented with this Gorgeous sign from one of my moms. 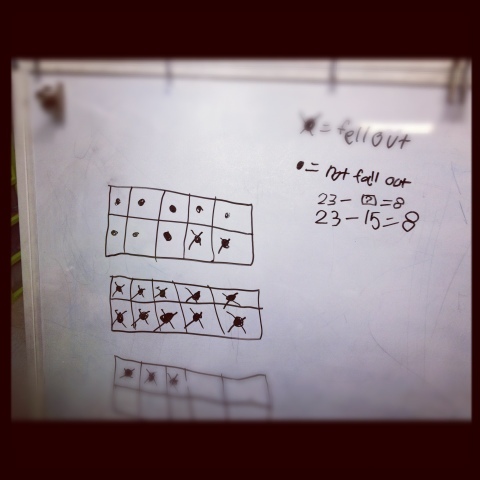 My week got even better as I watched one of my sweeties share how he solved the problem for his math journal. John was on his way to recycle bags of cans. When he left his house there were 23 bags in the back of his truck. Some of them fell out of the truck on the way there. When he got to the recycling plant, there were only 8 bags in the truck. How many fell out? His answer made our hearts go pitter patter!! 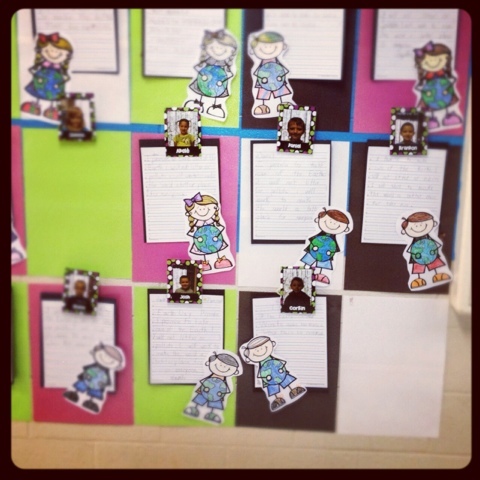 We push for Constructed Response type thinking even in our PRE-K! So showing it, telling about it, and doing it are all equally important. First he showed the 23 in the ten frames. After he counted the 8 that were left, he put Xs on the rest. He then wrote the expression 23-?=8. Then he solved. He even made a KEY! (Thanks to Miss D and her great lessons on maps and globes). Just amazing! After a lot of great lessons and thoughtful discussions about caring for our Earth, the sweeties wrote about their feelings and made Miss Kindergarten's Home Sweet Home Craftivity. They also made an Earth Day Promise from Mrs. Wheeler's Earth Day Pack. A few even pinky promised, as if I am in charge of the Earth. (I did tell them that I would pass it along). And last but not least, next week starts our state testing. Many of the teachers collaborated and made a fabulous dance routine to a version of Gangam Style. I volunteered myself (and Miss D) to participate. It was after the first practice round that quickly remembered, "Hey! I can't dance!!" So I suggested asking our high school or our middle school to borrow their mascot. That way, they couldn't see my face when I am dancing- which we ALL know that makes the dancing better!! The middle school obliged- and I was one sweaty squirrel in an eagle suit!!! Miss D and I told the sweeties I was in a meeting the whole time- two of them suspect I was the eagle....I'll never tell! 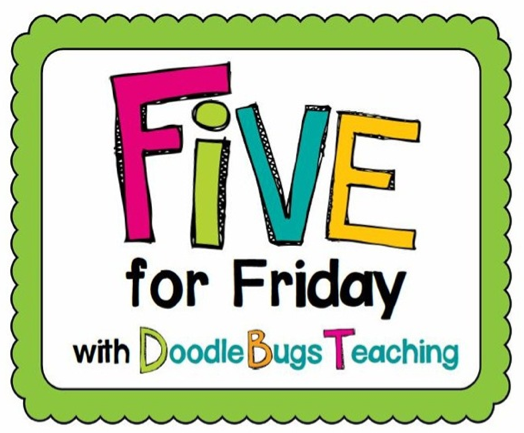 be sure to head over to Doodle Bugs to link up your Five for Five! 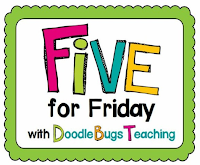 What a fun week you had...and it started out great! 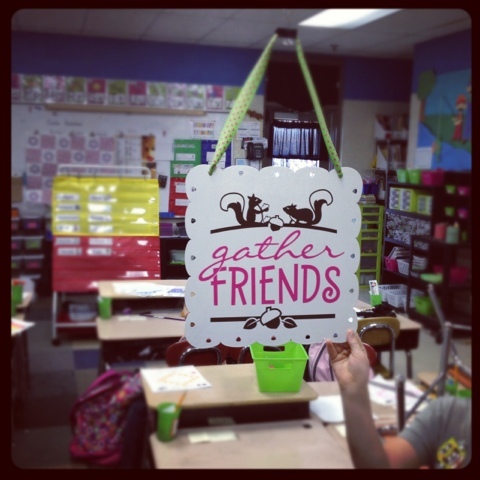 Love Hadar's craft - super cute! Enjoy your weekend. And the Earth Day crafts turned out super cute! Yay for the sweetie's math problem. He rocked it out! Love it! We are "mules" not sure I would get in that costume! 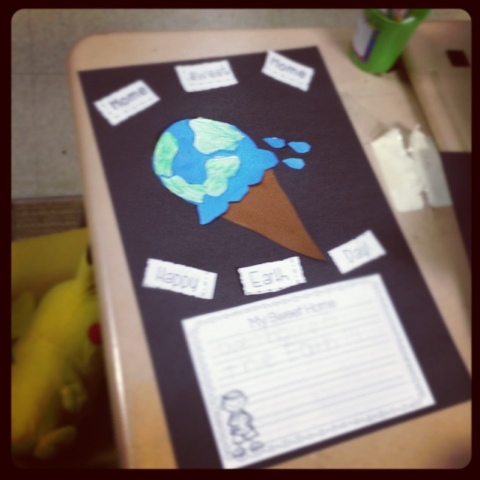 Super cute Earth day activities. Love the craft!! AND YOU WERE THE BIRD?!?!? I did not get that when you first showed me! BAHAHAH! I'm dying!!! Looks like so much fun! 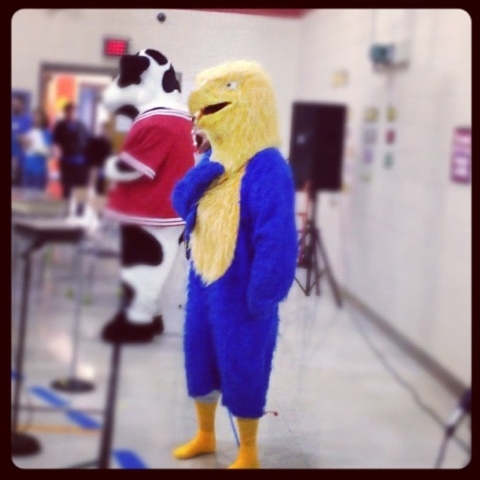 Love the bird costume!!! Awww,how awesome was that CRA answer! I want to see a video of the dance! !